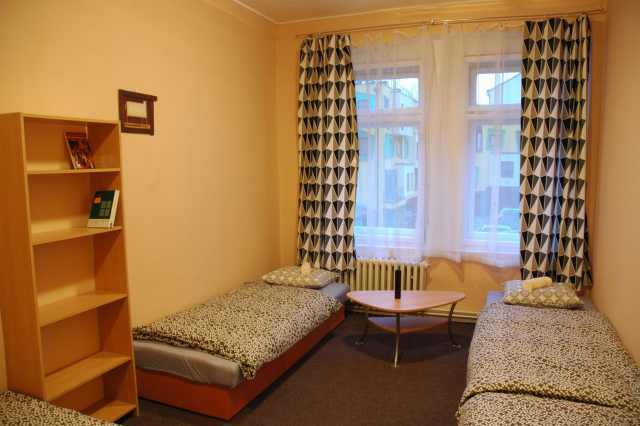 New guesthouse near the city centre (7min). 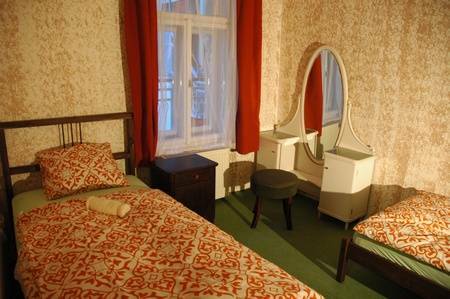 Accommodation in Old Prague style for acceptable price. Friendly owners. Equipped by new furniture with antique pieces! 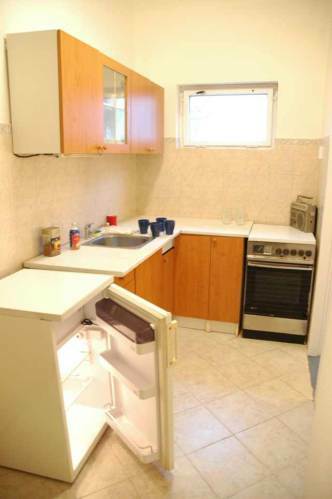 Kitchens on the floor. Reception. Rooms for two and four persons. Lot of original Prague bars in neigbourhood! Enjoy Prague Pillow! Prague Pillow is a brand new guesthouse located on 1st floor of the house from 19th century, completely renewed in Prague quarter called Zizkov. Friendly owners almost all the time there. 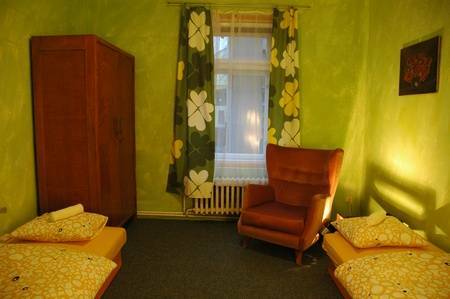 Three charming rooms for two persons provide you with a great feeling of a past time! 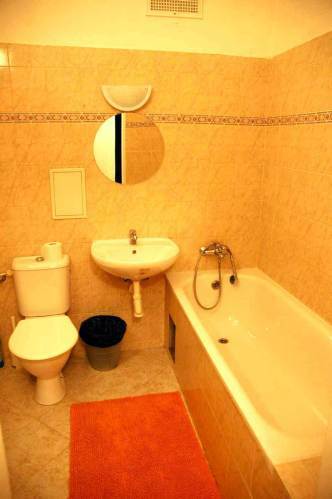 If you need more space, there we have for you 2 rooms for 4 persons! Two kitchens on the floor! We provide towels for free. Cable TV in common room. Free wi-fi. Left luggage service. Do you need a guide in Prague? We will help you to arrange this! And as cherry on the cake- this quarter is full of Prague bars, pubs and dance clubs where you can taste the real Prague life!Enjoy Prague Pillow! HOW FIND US IN PRAGUE ? From airport -/60 minutes/ take bus No 199 to End station, transfer subway line A to station Mustek, transfer tram No 9 to station Lipanska	From Main Raiwail station/2 minutes/Také tram No 5, 9, 26 to station Lipanská / one station from Main station	Trains from Berlin usualy stop at the station "Nadrazi Holesovice"
From railway station /Nadrazi Holesovice /30 minutes/Také tram No 5 to station Lipanská. Or take subway direction "Haje" three stops to station "Hlavni nadrazi /Main Station/" walk right trought the park and tranfer to tram No 9, 5, 26 direction "Spojovaci" take one stop to the station "Lipanská" when you will be there go walk in direction you come and take first street to right up the hill and first to the left - this is Chlumova street and you will see the Logo " Prague Pillow" where is our guesthouse located.